In this review we are going to prove that “WinWinSignals” is a new binary options scam. It is presented by Monica Stevens. Stevens claims to be a consulting and public relation manager who worked on projecst like Candy Crush Saga or the movie Wall Street 2, she also was employed bank Citibank. Now she is working on getting feedback about the binary options trading app WinWinSignals. WinWinSignals is generating signals for binary options trades and you just have to execute them on your account. It allegedly can make you hundreds of thousands of dollars in total. WinWinSignals is now free for a focus group of new testers. It allegedly can make you thousands of dollars per month. The vast majority of scams is presented by men, some fictitious programmers or gurus who created a trading app. WinWinSignals is different, because it is very rare to see a woman presenting such a scam. But here she is: Monica Stevens. Stevens is of course a fictitious person, in reality she does not exist, his voice belongs to an actress and photos are stock, just look at the picture on the right. Testimonials are fake too, they were made with paid actors. The same goes for trading account screenshots you can see in the video, all fake. And the articles shown on the WinWinSignals web page are of course fake too. You can do a research on those web sites, or look at the image on the right. 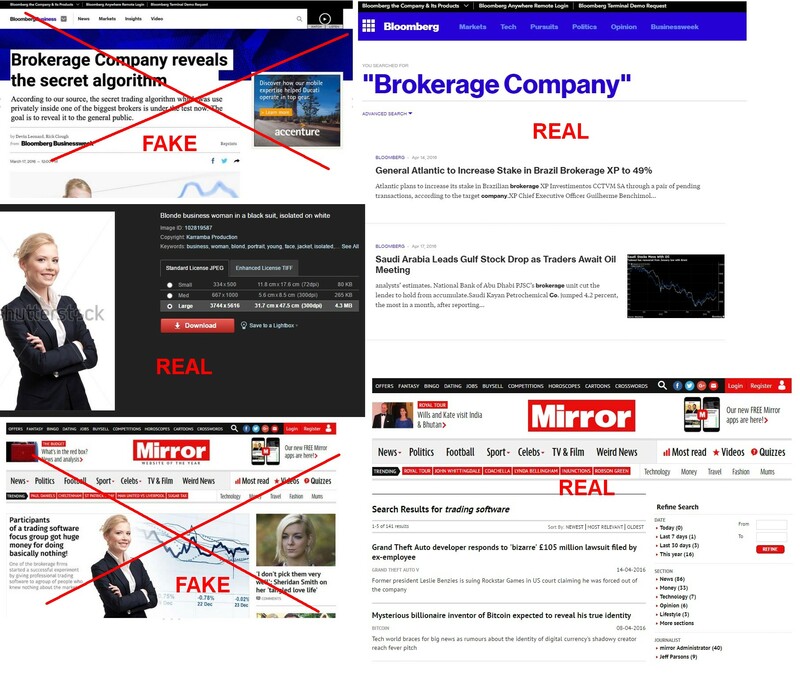 You’ll see that Bloomberg, Mirror and all the others have never published these articles. Scammers just played with Photoshop and stock photos. The WinWin app is in fact just a piece of crap designed to make you open a trading account and deposit money with an affiliated broker. 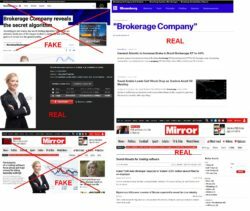 Because it is what the scammers are paid to do, they are referring new clients to a certain broker in exchange of affiliate commissions. So you won’t be able to use the WinWin app unless you deposit at least $250. If you do it, you will then lose your money in trades made with this app. WinWinSingals is a pure scam that abuses binary options. They want your money, so stay away. If you want to see how real binary options trading works and how people make money in it, try a free demo. It gives you an environment where you can learn to trade risk free.